As the listing states, totally like new, all case candy included. I started a little high so I can come down, and am willing to negotiate for sure. This has just a few hours of playing time on it since new, it's truly in perfect shape. I hate to part with it, but life requires it. Any idea what the neck measures at the 1st and 12th frets? Thanks! So I was carefully measuring the neck while strings are on it. I slacked them a bit and slid the digital calipers under. I wanted to be careful not to scratch the thing as my calipers are freaking sharp. Anyway, the readings I got were .88 (1st) and .98 (12th). I prefer large necks, usually deep vee necks (I'm primarily a telecaster player, along with several Gretsches). I have an Epi Casino with a thinner neck and two G512x Gretsch Hollowbodies with thinner necks that are fine. This feels larger than those to me. It's a round back not a V like my Teles, but feels great. Everyone's hand is different of course. But I can say as someone who appreciates thick necks that this is very nice. It's not a Gibson baseball bat boat-back gigantic slab-o-mahogany or anything, but it's not some shredder neck. I really do love it. I wouldn't dare let it go if I really had a choice. Hmmm. Well that makes things interesting. 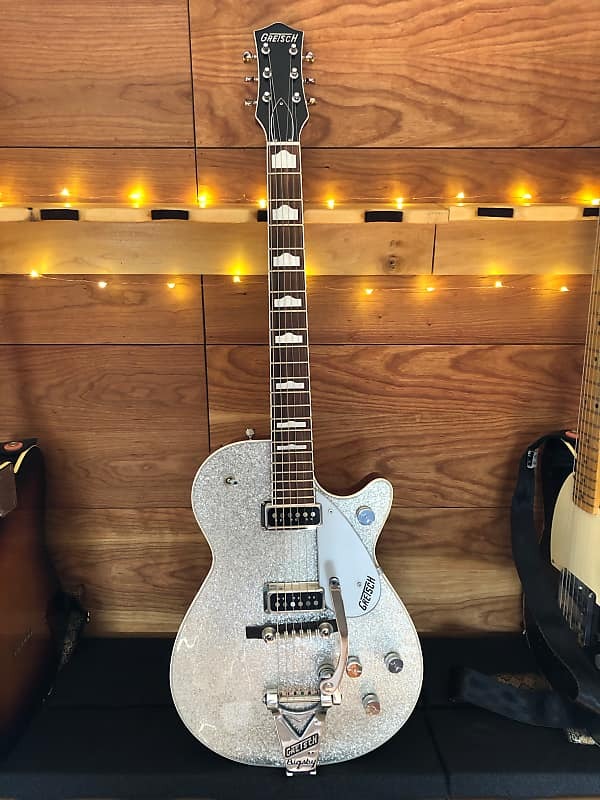 I'm a thick neck guy and you don't see them that thick much on anything Gretsch aside from Custom Shop. Thanks for measuring! Gears are turning! Yeah it's a nice one. I just love Dyna Jets. Me too Proteus. It hurts to let this one go. It’s an amazing piece of musical lumber. She made it to her new home in great shape. A welcome addition.